SCORE: 1-0, min. 21, Pressley. 1-1, min. 70, Taylor. INCIDENTS: NWSL Regular Season Matchup between Orlando Pride FC and Seattle Reign FC. The match was played at Orlando City Stadium. 5,074 spectators. Looked hot and humid for the players out there. Thank you for following along this afternoon. This is Felix Hernandez for VAVEL USA hoping you enjoyed the match. Orlando Pride 1 Seattle Reign 1. So long everybody! FT: Both teams will stay in the playoff position after the weekend. FT: Both teams battled to the end and pick up a point in the standings! Seattle Reign FC still in #2 spot and Orland stay at #3 spot. This is the fifth straight draw between the teams. 90+4': The referee looks at her watch and blows the final whistle. 90': 4 minutes extra time added. 81': Camila takes a long range shot but Williams is there for the save. 80': Orlando Substitution: Pickett IN, Edmonds OUT. 76': Play is delayed for a hydration break. 70': GOOOOOOOOOAAAALLLL! Jodie Taylor! Kawasumi finds Taylor open in the box again. Takes a touch from close range past Kopmeyer! 68': Kennedy tries to chip the ball over Williams from midfield range but ball goes harmlessly wide. 64': Easy save for Kopmeyer. Andrews takes a weak shot on a bouncing ball. 59': Orlando Substitution: Camila IN, Pressley OUT. 57': Seattle chance! Taylor is wide open in the box but Orlando's Pressley comes back and blocks the shot off her back wide of the net. 56': A lot of the play happening at midfield. Not many chances created. 48': Good look for Kawasumi all coming from a Seattle short corner but her shot is wide of Kopmeyer's net. 46': We are underway for the second half! 45+5': The referee blows the whistle for halftime. 45': ​5 minutes extra time due to the water break. 44': Obogagu gets around the Seattle defense. Takes a shot from the left side of the box but Williams is equal to the task. 43': Taylor draws a foul on Obogagu in the offensive half. Free kick into the box but ultimately turns into a goal kick. 39': Another save by Kopmeyer! Fishlock sends a ball towards a streaking Taylor. Taylor's header is stopped by Kopmeyer! 37': Big save by Kopmeyer! Jodie Taylor received a pass by Fishlock at the left side of the box. Kopmeyer knocks the ball wide for a corner. 32': Play is delayed for a hydration break. 32': Beautiful passing by Orlando, Obogagu to Leroux but is whistled offside! 25': Seattle Substitution: Yanez OUT, Andrews IN because of injury. 24': Seattle's Beverly Yanez is down for an injury. 21': GOOOOOOOOOOOAAALL! Toni Pressley found the ball near the penalty spot and fired it past Williams! Pressley's 1st goal of the year! 19': Spencer is in alone from Taylor but is offside. 17': Nice save by Kopmeyer! Kawasumi's free kick is deflected on net by Fishlock. Kopmeyer juggles a bit but brings it in safely. 16':​ Fishlock tripped up by Weatherholt creating a free kick for Seattle around 30 yards out. 10': Chance for Seattle as Yanez takes a shot at the top of the box. Kopmeyer is there for the easy save. 8': Following corner pinballs in the box. Obugagu's shot is blocked by Seattle defender. 7': Marta with the first chance of the match. Marta brings the ball into the box, her shot from a tight angle is pushed away by Lydia Williams. From OptaJack on twitter: Last four matches between Orlando and Seattle have ended in a draw. Three of the them ended with a 1-1 scoreline. It's Game Day and the Orlando Pride will honor Ali Krieger's 100th NWSL appearance last week at Utah. The injury report is out. Be sure to check back here as new information such as injuries and starting lineups become available. Then join me Saturday afternoon for live game updates. Both teams are currently in playoff position with the last home field advantage spot up for grabs. Seattle Reign FC hold the final home field advantage spot, second in the table (8W-4L-5D) with 29 points. While the Orlando Pride are behind the Reign in the third spot (8W-6L-4D) with 28 points. A win or a tie for the Seattle Reign FC and they hold on to second spot for the time being. Chicago Red Stars (28 points fourth place) and Portland Thorns (26 points fifth place) are on knipping at their heels in the standings making this match even more important. During the NWSL offseason some players go on loan to play in Australia's W-League. Orlando midfielder Alanna Kennedy and Seattle’s Jess Fishlock, Steph Catley, Lydia Williams, Lauren Barnes and Jodie Taylor all played for Melbourne City FC. 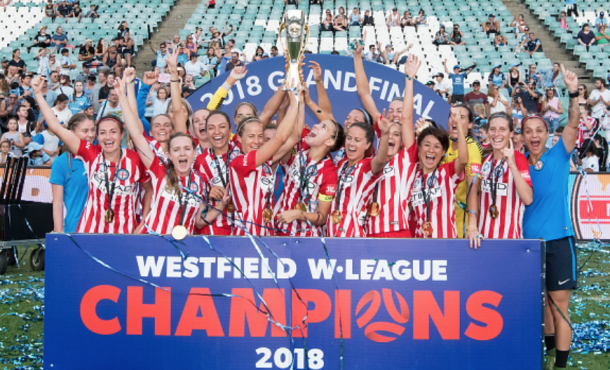 They would go on to win the 2018 W-League Championship. This match will be Marta’s return to the lineup after she served a one game suspension for receiving a straight red card in a match against the Houston Dash. Seattle's Steph Catley and Jasmyne Spencer make another return to Orlando where they played last year. As the USWNT prepares for the 2018 Tournament of Nations both teams will be missing some key players. For Orlando Pride, striker Alex Morgan and goalkeeper Ashlyn Harris will be unavailable. 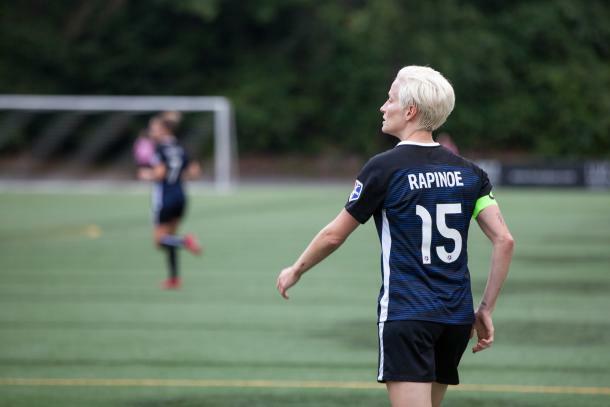 Striker Megan Rapinoe and midfielder Allie Long will be unavailable for the Seattle Reign FC. Unavailable players might return to their club’s roster Sunday, August 5. As of now, Australian and Brazilian internationals will be available for this weekend's matches. The teams drew in each of the last two matches. The first match on April 28 ended in a 1-1 draw in Orlando. Allie Long and Marta each scored a goal. While the second match on June 3 ended in a scoreless draw in Seattle. Time will tell if this final matchup will produce a winner in this season series. Last week, Orlando lost to the Houston Dash 3-1 in a midweek matchup. Then traveled to Utah Royals FC winning by a 2-1 final. Seattle beat Utah Royals FC 1-0 at home, then lost to Chicago Red Stars on the road 1-0. Orlando Pride will play host to the Seattle Reign FC at Orlando City Stadium in Orlando, Florida for their final matchup of the season. This is the second time Seattle will travel to Orlando. 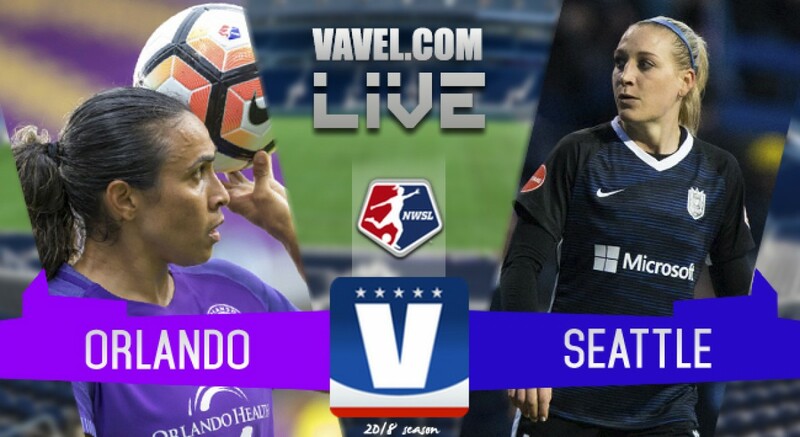 Hello and welcome to VAVEL USA’s LIVE Coverage of the National Women’s Soccer League Week 17 matchup between the Orlando Pride and Seattle Reign FC. My name is Felix Hernandez and I will be your host. From now until kickoff on Saturday, July 21 at 3:30 EST, I will be keeping you updated on news and notes. Be sure to come back at kickoff for LIVE updates.